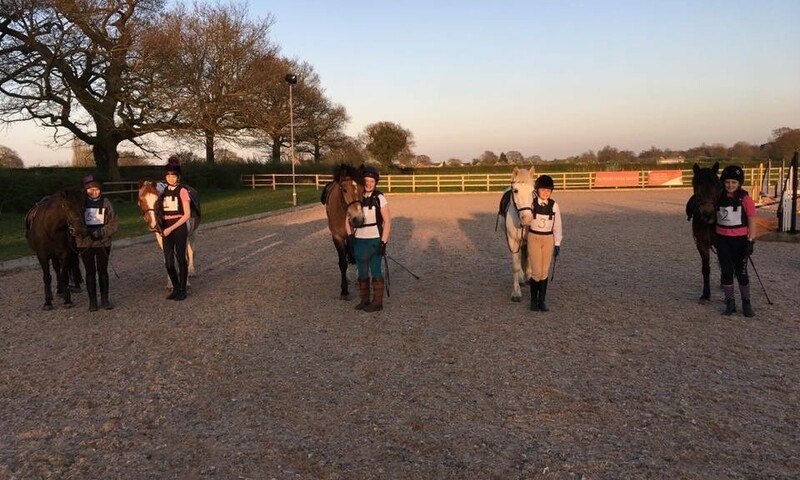 On 19th April, Area 5 ran a C Test Assessor Training evening at one of their Pony Club linked Centres Cheshire Riding Stables. The evening was oversubscribed and included coaches booked on from as far as Anglesey, also included a visiting Coach from neighbouring Area 4 and our very own Area Representative Meg Green. It was also good that 3 of the staff from CRS joined us on the course, as they were so professional and made sure riders and ponies had been well prepared. 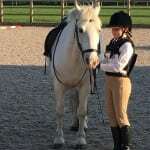 We had a fantastic welcome from Phillipa and her team at CRS, the yard was busy when we arrived with lots of children coming for their weekly riding sessions. 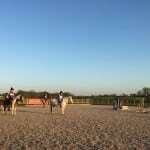 As part of the training course we used members and ponies from CRS for a ridden session in the beautiful outdoor Arena. The group of trainee Assessors were able to discuss and watch the riders directed by Area 5 Coach/Assessor Rosemary Clarke. The members demonstrated a good level of horsemanship and riding skills, it was a real pleasure to see such great members and ponies. We look forward to coming back to CRS really soon!